For those who don’t know, a Clarisonic is a skin care accessory that has been available in the US and UK for quite some time (around 5 years) and proved to be incredibly popular. The Clarisonic basically works in a similar way to that of an electric toothbrush and helps cleanse the skin 6x more. They have a brush attachment that you can change according to your skin type (I chose sensitive, not because my skin is sensitive but because I didn’t want something too harsh that might cause redness) – these needs to be replaced every 3 to 4 months. The Clarisonic Mia is the version that I got – these are the newest and the niftiest versions. The classic is pretty bulky I think. The Mia also comes in an array of colours which obviously appealed to me. The tool needs charging once a week and this is don’t through a magnetic charger. It is fully waterproof so great for use in the bath or shower and can be used with any cleanser of your choice. I opted for my old-faithful, QMS. I bought my first Clarisonic in Oct which promptly stopped working 3 weeks later but they gladly exchanged it so that was a relief. I must say I am finding myself quite bad at remembering to use this little tool, but when I do it sure is worth it. 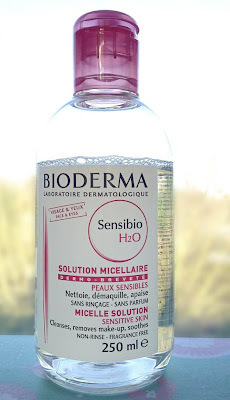 This cleanser is fabulous on its own, and with my Clarisonic I love it even more. It removes make up and makes my skin feel plump and clean. The rest of my routine also includes QMS collagen for Day and Night as well as their 24 hour cream. 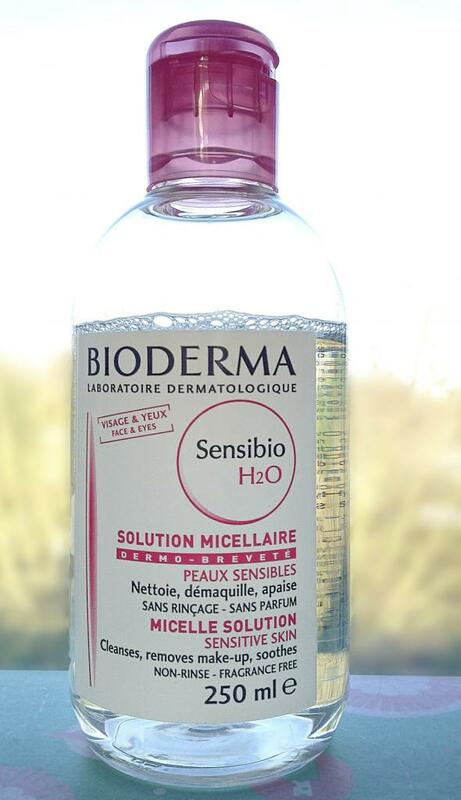 Lastly, (and I have to mention it) my fabulous eye make-up remover is from Bioderma. I lugged to 500ml bottles of this all the way from Paris, only for it to launch in SA at R140 a pop a month later. Joy. This stuff works miracles. Leave it in the fridge for that extra cooling and calming effect. Really craving both the clarisonic and bioderma. Heard such good things about both! They really are both amazing!